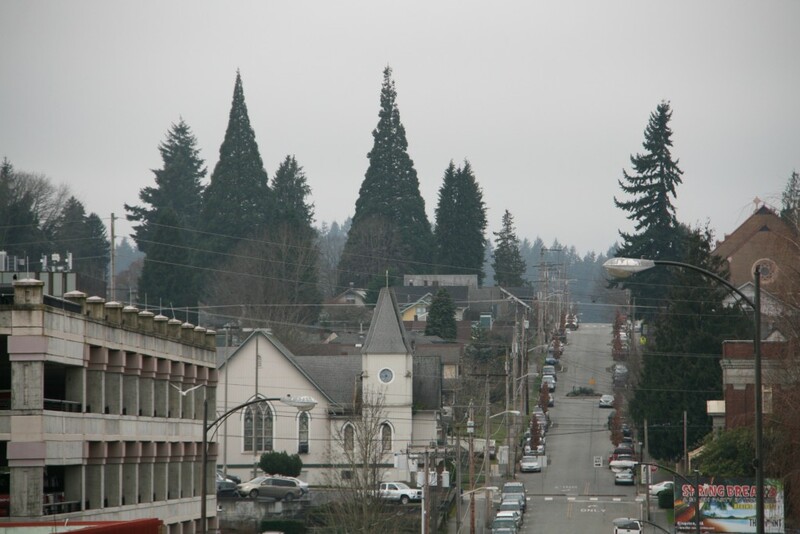 On Saturday, we’ll hit the streets of West Bremerton to visit Veneta Avenue’s storied Sequoias. I hope you can come along on this free tour, beginning at 1 p.m. Saturday at the picnic shelter at Kiwanis Park (1701 Fifth Street). We’ll tour the two pinecone-shaped trees, ones whose future we recently wrote about in the Kitsap Sun. Bring your walking shoes; our city hike will be no more than a half mile or so. I’ll have Jim Trainer, famed Kitsap County arborist, along to talk about the Sequoias, and we’ll discuss the history of the area as well. Plus, our theories about about how the trees, not native to Puget Sound, got there. Maybe on the way back, we can try out Kiwanis Park’s new 30-foot slide, too. It was informative and a great way to connect with neighbours. Thank you!